Puducherry is a popular tourist destination and the union territory of India. 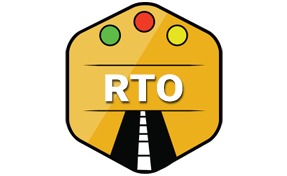 Puducherry RTO is established by the motor vehicle act of 1988. Transport commissioner manages all the operations of Puducherry RTO. The main motive of the foundation of Puducherry RTO is regulating the transport and traffic in the city. Puducherry RTO is also responsible for ensuring traffic and transport rules and regulations are followed. Organising all kinds of tests related to driving license and vehicles. For issuing driving license both theoretical and practical tests are arranged. To issue roadworthiness certificate to the vehicle, emission tests are conducted. Managing various training related to driving and road safety awareness programmes. Online information management and scheduling all the appointments for the RTO visit. Assisting in automation of Puducherry RTO process. Managing vehicle’s excise for all modes of transport. The criteria of excise vary based on the type of vehicle. Authorise to grant road permits and managing its renewal as well. Furnishing permits to commercial fleets and cargo. Regional Transport Officer (RTO), 100 Feet Road, Opposite Bus Stop, Mudaliarpet, Puducherry - 605004. Phone Number: +91-413-2280380 / 2280170.